Hey all! So far I just have one completed entry for the April drawing. If you are interested in winning a prize this month, check out this post for the rules AND this post in order to sign up! 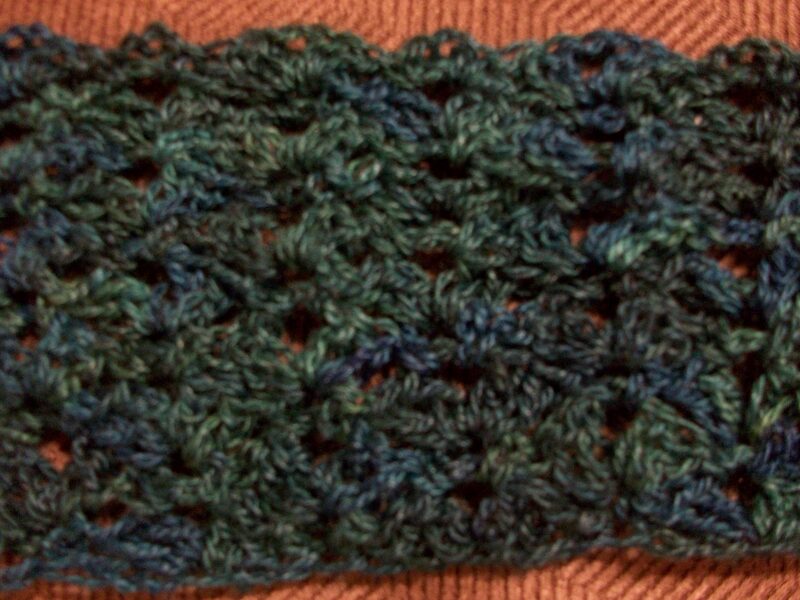 I’ve been crocheting when I can as well. 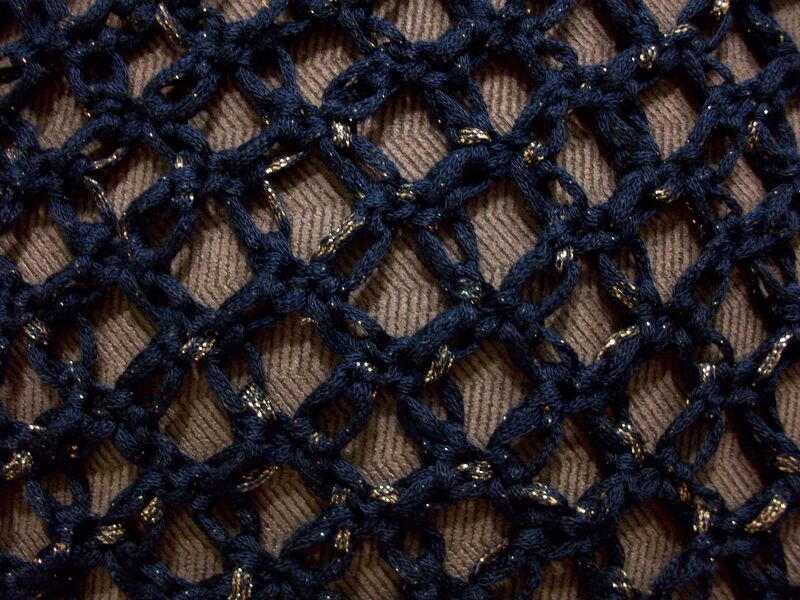 While I can’t show actual WIP pictures because they are for future patterns, I can share some close-up pictures so you can see what is being worked on. 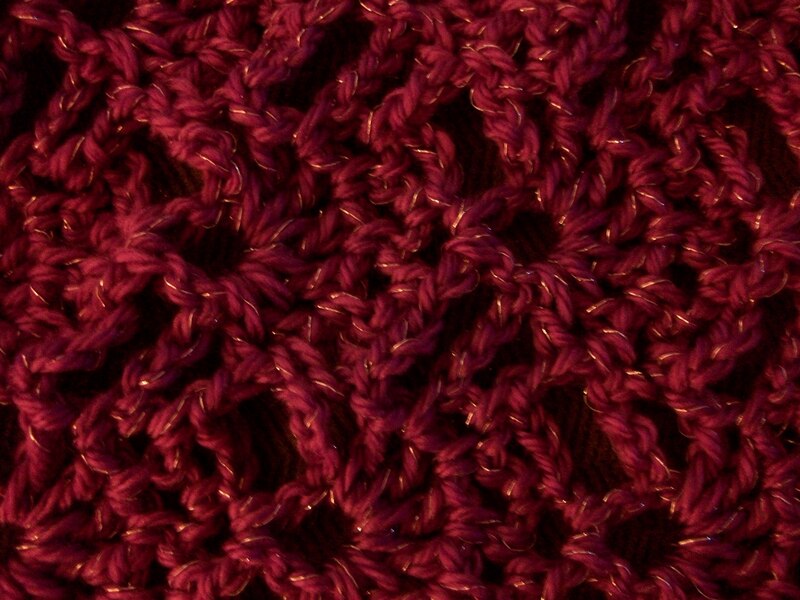 Here is a close up of a pattern I am working on for Cascade Yarns. It’s about 2/3 done, and I’m hoping to have it ready for blocking by the end of the month. Thanks to Jenny King, I learned how to stitch the Solomon’s Knot, also known as the Love Knot. This is for an accessory I am hoping to finish so I can wear it at Stitches Midwest in August. I had to get really close in for the detail on this one, and I have to say, it doesn’t do it justice. 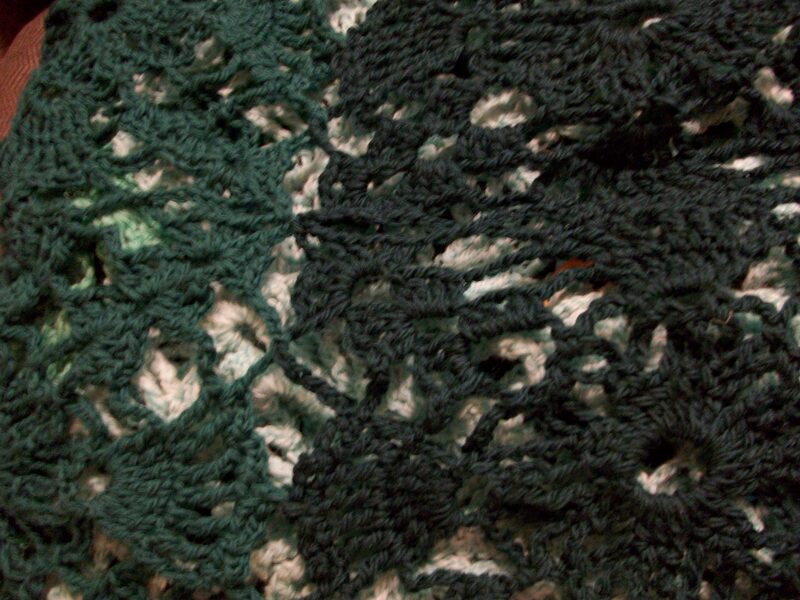 This is a lace weight yarn from Mountain Colors, and while lace can take a while to stitch (There are only 9 rows rows in this picture), I love how it looks when it is finished. This item is actually all stitched! However, I still have some ends to weave in, and a pattern to write up in order for it to be completed. So that is a quick peek into my busy project bags. What are you working on? I just finished 2 lacey scarfs for the wonderful teachers who have had my two girls for 3 year old preschool all year!! I know the teachers love the handmade gifts I give them, and now is the time to get them done before school ends. Kate, if you want your projects to count, I need one of the following – either an email with all of the project info, or a link to the Ravelry project page.